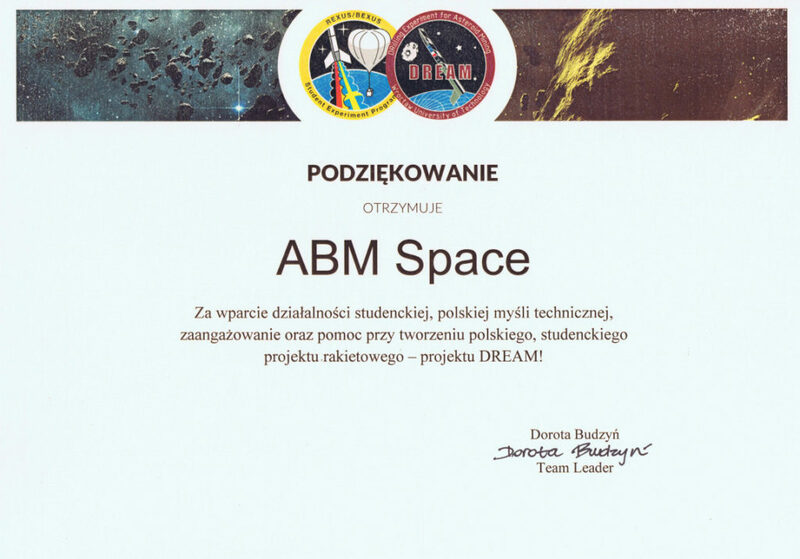 Thanks for supporting the DREAM project – ABM Space Sp. z o.o. We are more than pleased to announce that within the scope of our established cooperation with students taking part in DREAM (DRilling Experiment for Asteroid Mining) project, we were presented with the gratitude certificate for support, involvement and help in building on of this one of a kind experiment. DREAM is the first attempt to determine the conditions of asteroid drilling.